Kalypso allows you to make a style statement affordably and comes with Corelle's 3-year limited warranty against breaking and chipping. Theis Multi-colored Floral gives any meal a colorful touch. 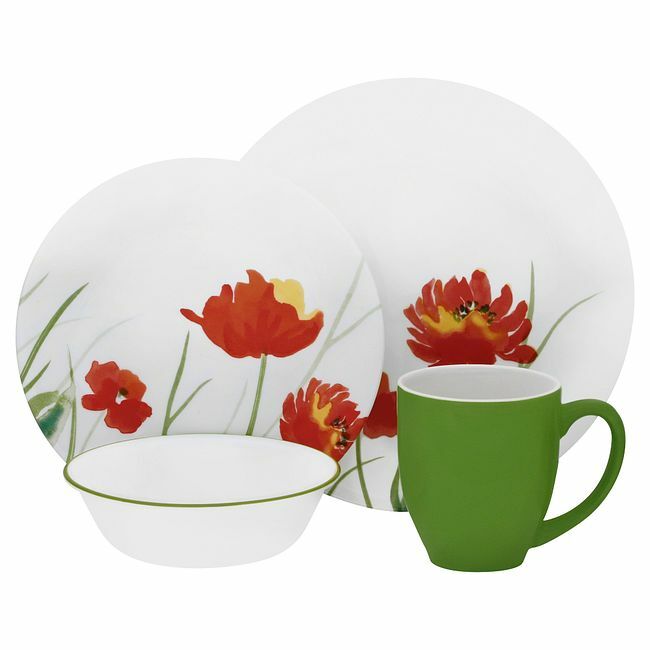 In white with grass-green accents and a red floral pop of color, this durable set of dishes includes four plates, four salad plates, four bowls and four mugs.